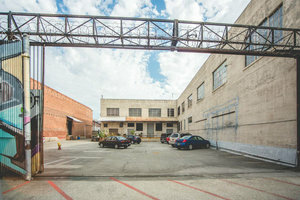 The Wilson Lot is a beautiful & spacious outdoor location in the Arts District of downtown LA. 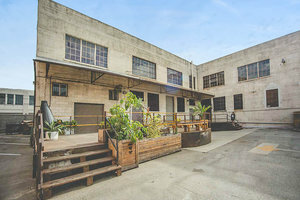 Snuggled between two buildings, the space is perfect for any kind of event with its dynamic exterior and flexibility in use. The gated 12861 sq ft lot can accommodate up to 1200 in capacity. 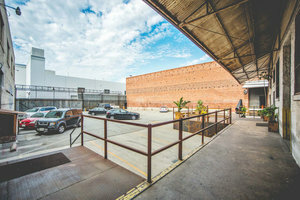 Amenities include stage/patio, an adjacent alley, gated parking spaces, surrounding lots for rent, along with options for restrooms, Wi-Fi, production offices, and dressing rooms. 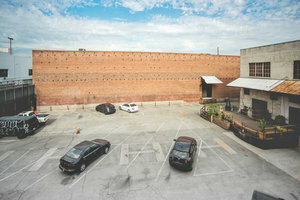 This is the ideal location for your next event, film screening, pop up shop, film site, or wedding!